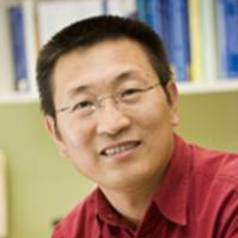 Prof Yuan received his PhD degree in aeronautical engineering in 1992 from Beijing University of Aeronautics and Astronautics, China. He changed his research area to wastewater management in 1994, when he took up a postdoctoral research fellow position at Ghent University, Belgium. He joined the Advanced Water Management Centre at The University of Queensland in 1998, and has been serving as the Deputy Director of the Centre since 2001. His core set of skills includes mathematical modelling involving both process and metabolic modelling, process optimisation including process control, and project leadership. He has won over $30m competitive research funding since 2001 including 18 ARC Discovery and Linkage grants with a total value of over $18m. He has published over 400 papers to date including over 230 fully refereed journal papers/book chapters. His h-index is 42 as at August 12, 2014 (Scopus), with a total citation of more than 5600 on this date.